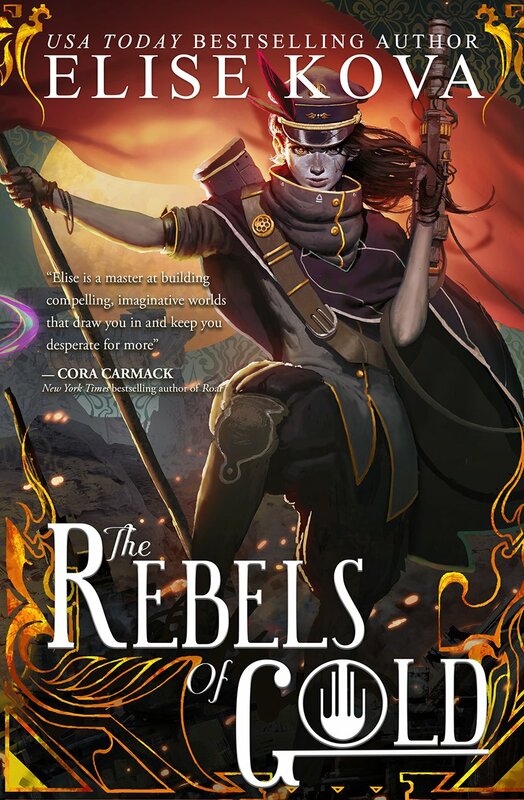 This is the final installment of USA Today bestselling author Elise Kova's Loom Saga, THE REBELS OF GOLD will reveal the fate of Loom's brilliantly contrasting world and its beloved inhabitants. Down on Loom the guilds may have been almost destroyed but those who remain haven't given up on their rebellion, in fact they're now even more determined to get their revenge. Ari and Florence are in the thick of things trying to create a new weapon that will be strong enough to defeat the dragons but they're battling a powerful enemy and they've already seen first hand the price of failure. Meanwhile, back on Nova Cvareh is trying to hold his family together after the death of his sister, he never wanted to be their leader but now he doesn't have a choice. All he can really focus on is avenging his sister and bringing down the dragon king once and for all but that's going to mean working alongside what's left of the guild and most of the dragons are really unhappy about that. Working with Loom was never an option before but sometimes it really is a case of the enemy of my enemy is my friend. 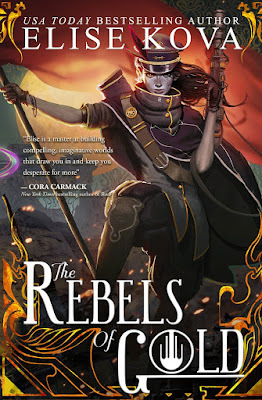 Its always sad to read the last book in a series you've really enjoyed but I think Elise Kova did a great job of wrapping up the Loom Saga in The Rebels of Gold. She created such a wonderful and unique world here and I really have had fun exploring it and getting to know the characters. I've loved how diverse the series has been and that continues here adding in an f/f romance to all the wonderful things that have come before. As usual the story is told from multiple points of view so we get to spend time with Ari, Cvareh and Florence which really works from a world building point of view. I have to admit I didn't like Florence as much in this book as I had in the previous two, she had a few moments to shine but for some reason I didn't feel as connected with her this time around. I did enjoy her romance but I think she just took a little too much of the page time and didn't leave quite enough room for Ari and Cvareh. As always I loved both of those two, I was sad we didn't get to see them spending more time together but the moments we did get were worth waiting for. Overall I thought the Loom Saga was a really enjoyable series and I'm definitely looking forward to reading more from Elise Kova in the future.